I am a 22-year-old recovering heroin addict. I have found that since I quit using, that I changed from that addiction to being addicted (in my opinion) to food. I feel like I can't control myself and I will get a craving and I will go into othe kitchen and just binge eat until I feel like I will throw up if I eat another bite of food. I have always been a skinny girl and now after being clean for 1 year, I have gained 70+ pounds! I don't feel like myself when I look in the mirror and see this overweight woman. I was wondering if you could give me some tips on how to control this or any advice would help. I am so glad that you are in recovery from your heroin addiction. It is a common behavior to replace one addiction with another, so don't be too hard on yourself. Eating too much is a problem that you can deal with, but it is not in the same league with heroin addiction, so you are already in a better place. I don't know what your recovery program involves, but getting support from others, both professionals and peers who can empathize and help, is vitally important. Is it possible for you to work with a therapist who specializes in addictions? 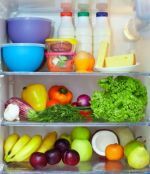 Having said that, from the standpoint of healthy eating, there are some things you can do to help get your eating habits back on track. Even if you only do a few of these things at a time, it will help. *Eat regularly. You are less likely to experience the cravings and low blood sugar that can lead to relapse if you eat three regular meals and two in-between snacks each day. *Drink plenty of water. Dehydration can be a problem during recovery so be sure to drink lots of water—filtered, if possible. *Eat protein rich foods such as lean meats, poultry, seafood, beans, nuts, seeds and tofu. You need protein to produce the chemicals in your brain that make you feel good, as well as to replace tissues damaged by the substance abuse. *Eat a variety of fresh fruits and vegetables either raw or lightly cooked-at least five servings a day. They are loaded with the vitamins, minerals and phytonutrients that you need to recover and feel good. *Eat fiber foods, including whole grains and beans to help restore health and tone to your digestive tract that may have been damaged by substance abuse. *Eat healthy fats for flavor, satiety and good health. This includes foods such as olive oil, avocados, nuts and seeds. Fats are important for the health of your cell membranes, which is basic to how you feel, and thus to your recovery. *Enjoy a small piece of good quality dark chocolate. It can enhance your mood as well as please your taste buds. Just don’t overdo! *Take a good quality vitamin/mineral supplement with particular emphasis on Vitamin C, B vitamins and zinc to restore the levels of these vitamins in your body. Although, it's always better to get your vitamins and minerals from foods, a supplement can help fill in the gaps until your nutrient status is reestablished. *Limit saturated fat by choosing lean meats and dairy products. *Limit processed and packaged foods. These are generally loaded with sugar, salt, trans fats and other chemicals that may slow your physical recovery. They will also fill the place in your diet and food budget that should be taken by the nutrient dense foods that are necessary for good health. *Limit caffeine. It can affect your mood and irritate already inflamed digestive tissues. Rewarding yourself with other pleasures besides food. *Stay physically active, preferably doing activities that you enjoy. *Stop smoking if it will not inhibit your recovery. *Get support from a group who can understand and encourage you. *Nurture you spirit with prayer and by helping others. I just finished reading a great book about "cognitive therapy," called the Beck Diet, by Judith S.Beck. PhD., which you might find helpful. It was written by a psychologist who specializes in helping people change negative thinking patterns that lead to unhealthy overeating. I will also post your question on healthy-eating-support.org and see if anyone else has comments or suggestions that would be helpful. Keep in mind that the most important thing is that nothing interfere with your recovery. I know you will succeed! I totally agree with the suggestions provided by the web team. I would emphasize 2 or 3 of the suggestions. It would be wise to speak with a physician before changing your diet and taking up an exercise program. I've generally been slim too, but 3 or 4 years ago I gained about 20 pounds. I'm lacto-vegan and used to use whey protein as a supplementary form of protein, which is high in water. However, there's no dietary fiber in whey powders or water. Water is a big part of a meal composed of a shake, fruits, vegetables, legumes, seeds and nuts. Although there's no fiber in water, water will still help make you feel full and it also will improve your appearance, especially if you're slight dehydrated. When I switched to high-protein, high-fiber vegan powders, I fairly quickly dropped the 20 pounds and got back into shape, probably due to increasing my intake of dietary fiber from about 30 grams to 45 grams per day. I don't look any younger, but I still feel more myself when I'm slim and toned. I've never been good at football or competitive sports so all the exercises I do are done by both men and women. I stick with brisk walking, simple yoga, palates, calisthenics and some circuit training with light weights. Exercise in combination with good nutrition does help improve people's moods, which is helpful in addiction recovery, anxiety, depression and many other health problems. I think you'll find if you gradually increase your intake of dietary fiber to between 30 and 40 grams per day and avoid highly acidic foods you'll feel much better. And because you'll feel full, you won't get as many food cravings. Spice really helps with bland foods, and many healthy foods are bland so definitely consider stocking up on turmeric, pepper, basil, oregano and some salt. Also, you're probably a good candidate for a modified proteins, carbohydrates and good fats balance. Generally dietitians say 40 percent carbs, 30 percent proteins, and 30 percent good fats. It might do a stressed body good to consider 30 percent good carbs, 40 percent good proteins (less meat and fish and more beans, raw nuts, seeds and high-protein, high-fiber vegan shakes), and 30 percent good fats. In addition, it might be wise to gradually increase your intake of dietary fiber to between 30 and 40 grams per day. God bless you. May you live long and be happy and healthy.